It looks like something out of Star Wars. Large metal towers dominating a vantage point over a frozen cliff face that suddenly drop explosives charges, triggering a wall of snow that cascades down the mountain. But this isn’t science fiction. It’s a new technology designed to make roads safer and cut down on traffic headaches. It’s called a Remote Avalanche Control System, or RACS, and this winter we’re piloting it along a stretch of the Trans-Canada Highway called Three Valley Gap near Revelstoke. 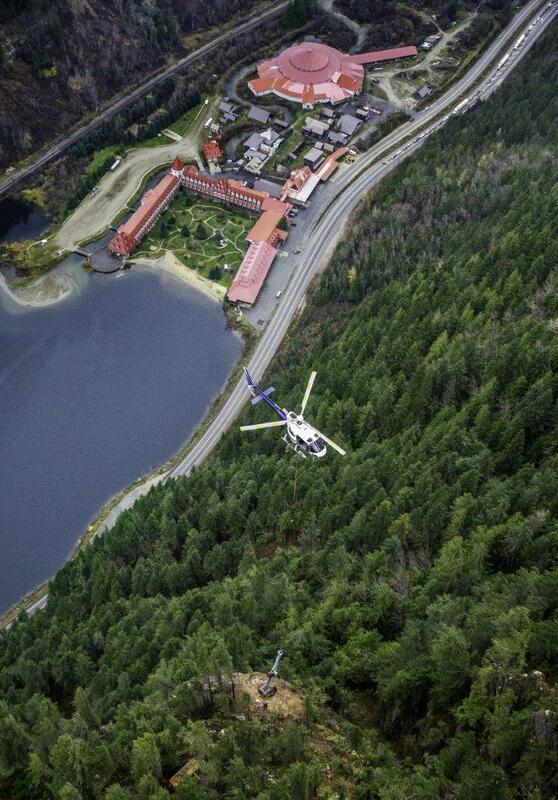 The old avalanche control method at this site, called Helibombing, used explosive charges dropped from a helicopter. Crews could only drop the charges during day light and when the weather was cooperating. Darkness and poor weather led to road closures of up to 37 hours along that stretch of the Trans-Canada Highway, forcing drivers to take a six hour detour or find a place to stay overnight until crews can reopen it. And that’s where a system that can operate 24 hours a day under any conditions comes in. -Avalanche technicians monitor snowpack and weather condition to determine when avalanche control measure are required. -When an avalanche control measure is needed, crews close the road and perform a sweep in order to ensure that the controlled avalanche area is clear. -After the all-clear is given, a tech using a wireless device sends a signal to the control system tower, triggering the explosive deployment box to drop a tethered explosive charge that fires after a short delay causing an avalanche to occur. -After the avalanche has stopped and it’s considered safe to proceed, crews swoop in to clean the snow off the highway and road is reopened. The system is now in place at nine locations along the south side of Three Valley Lake. 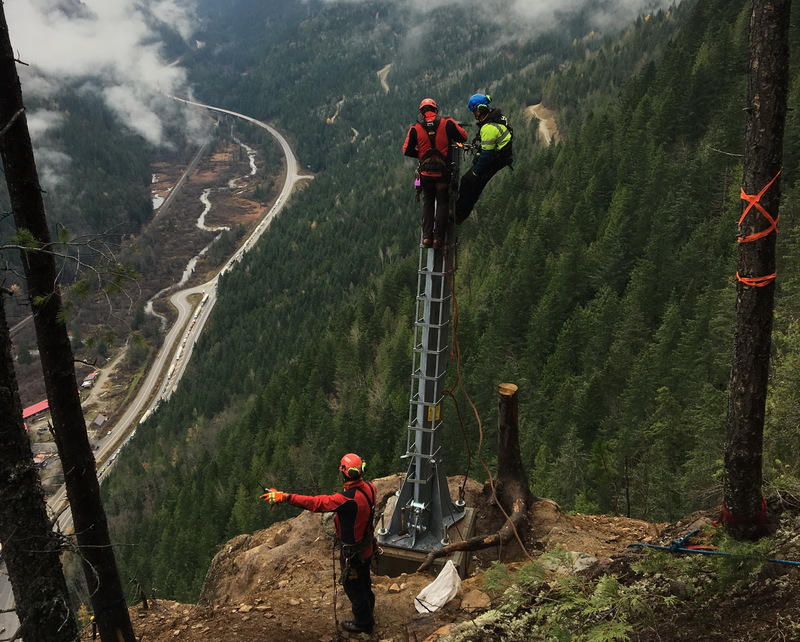 Crews are seen installing the Remote Avalanche Control System at Three Valley Gap in this image courtesy of Wyssen. Has anyone looked into the correlation of increased rock fall activity since the use of the remote systems? Installing these systems resulted in the clearing of new trees resulting in the creation of large paths that were not present before. These new paths also now allow for a larger snow pack accumulation because the lack of interception and no trees to hold the snow on the mountain. With the higher frequency of bombing (when we get 6″ of snow) the creation of new paths, are the total road closures less or more than historical? With higher frequency of short term closures, increased natural snow fall hazard, increased rock fall hazard and more snow removal maintenance required, have these systems had any improvement on traffic flow, safety and ultimate cost to the tax payer? 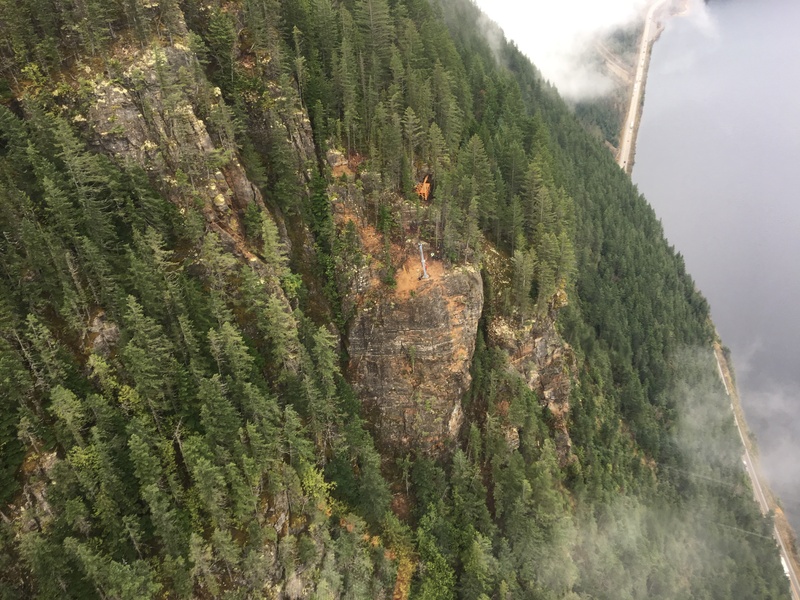 There were significant rockfall events last summer but these were linked with significant weather events in the area – extreme winds, precipitation, and extended hot / dry periods. There has not been enough time to evaluate if a correlation exists between the frequency and location of rockfall and in the installation and usage of the new Remote Avalanche Control System. Closure data will be reviewed at the end of the winter season, but again will take some period of time to determine any trends. What we do know is that these systems have given us the ability to undertake avalanche control missions at night (previously not possible) and we have had success reducing some of our closures down to about 60 minutes duration, something not previously possible. This year alone we would have had some overnight closures, if not for the RACS. This year has been very snowy, so we have had more closures than the average. We hope that this helps. Thanks for the suggestion and for connecting with us here to share it. We have sent it forward to the local area manager for review.